An invitation for CATC Design School graduate exhibition. The concept was taking the ordinary and turning it Extra Ordinary. Together with other members of the design committee took the humble paper cup and used it to make our own mark. This, as graduating students was our mark. I had the opportunity to design the logo, choosing a suitable typeface and layout to execute the concept. 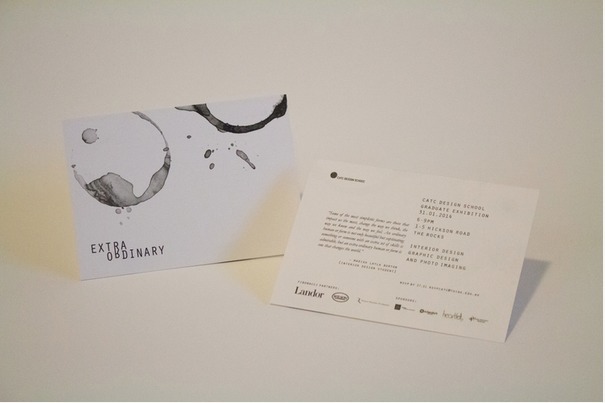 From the paper cup marking, I then designed the main "Extra Ordinary" logo. Keeping it simple yet making ordinary a little bit extra special.